Women in particular have so many things to say when it comes to cosmetics. We all want to look our best face forward and by that we rely to the finest makeup kits for women. Struggling for the best among the best let’s keep in mind that makeup is only good as it is applied. So having high quality makeup brushes are necessary if you want to look drop dead gorgeous can. Sigma Face Kit is the one of the most leading brand that many gals mumbling about. 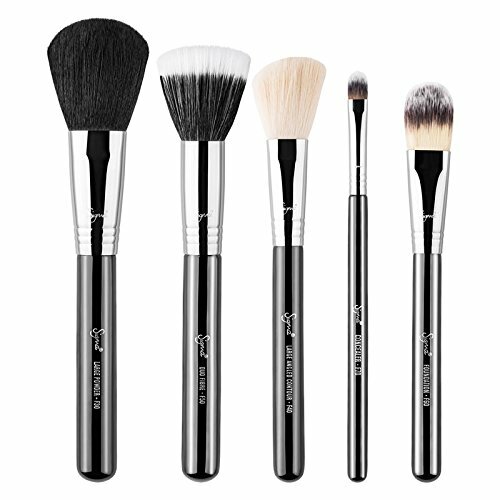 It comes with five professional feature brushes for the face designated by its use and function. This Sigma brush set is ideal for liquid and powder formulas so there’s no hassle while blending it to the color of your skin. These Sigma Kit brushes are packed sized long handheld brushes mix of synthetic and natural bristles. What’s so nice about the Sigma brushes, is that so rich with hair and extremely soft that you won’t feel any pressure on the skin when using it. The F30 which is the Large Powder for even powder application with consistent blending of powder products onto the face and yet onto the body, it gives you smooth and uniform touch with its rounded top and very thick natural bristles. It is a non-irritating and can use to dust off any dirt or excess powder in the face. I think it is very handy and multifunctional as well. 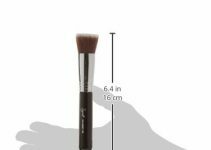 Sigma F40 Large Angled Contour Brush is a super soft brush by its angled shape, it only picks up just the accurate amount of the product. This contour brush doesn’t shack its natural bristles and it works greats that also put in an excellent element to the face. The F50 also known as the Duo Fibre Brush use in applying the foundation. It manifest an airbrush effect which light up just the perfect feature of your face. Good thing it also works perfectly with liquid or cream products so you wouldn’t find a hard time to spill it over your stuff or worst leak in your dress. 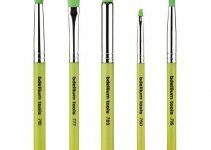 This one is a fine range of something dense duo fibre or brute brush that can use also for pigmented blushes. The F60 Foundation Brush usually use in liquid and cream products like primer and foundation. To enhance the line in your face like the bridge of your nose, the side of your cheek, the chin and even the Cupid’s bow leaving it spotless and no streak after. Last but not the least is the Sigma F70 the Concealer Brush, it conceal the deepest part areas such as around the eyes and the nose to cover the blemishes or to get rid of the redness. Some of the women use their fingers when applying the concealer because it is much easier to blend the color and the product in using hand. But not anymore because you can blend effortless without getting your finger or hand dirty by using this Concealer Brush, you will able to put it under your lashes and tear duct area with unparalleled care that none of the other brushes can offer. The F70 is a synthetic brush that’s why it does not absorb a lot of the product you want to put on. It’s a little bit harder to clean but easier to maintain them in its unique shape. Not unlike the natural bristles at first it feels so rough and scratchy but when it is often used eventually it softened. This Sigma Face Brushes maybe the right brush for you, it feels so gentle in your face and the bristles are not pricking your skin. Considering also the price, make sure that when you buy makeup you bought it with your own preferences. Each of the face kit is rated by its own intrinsic worth and point of value. As for Sigma Cosmetics, they were only giving you option or alternative depends on the consumer’s taste. So what you get is what you pay for, it may be worth your money or not. Otherwise you spent your money just for the sake of purchasing the wrong goods. Primary investment venture are high but brushes last with appropriate care. Also ask for assistance or help from a friend if you are not certainly familiar with the kind of brushes that is suitable for you. There’s a lot of product with the same function and use so there’s no answer which is and which isn’t.